This tiny, perfect mission has not only proven the technology needed to detect gravity waves in the future full LISA mission, it has also gone looking for asteroids! Near-Earth objects (NEOs) are asteroids that come close to Earth that could potentially impact our planet, causing damage. While ground-based telescopes are used to search for and follow up these objects, they have limitations. For example, any NEO coming from the direction of the Sun will be missed by ground-based telescopes [The Chelyabinsk asteroid in 2013 came from the direction of the Sun – Ed.]. In fact, one of the best locations from which to spot asteroids is space – specifically, from an orbit that is closer to the Sun than the Earth. To demonstrate that ESA has the capabilities to use space-based telescopes for these observations, a test campaign was conducted using the LISA Pathfinder star trackers – optical cameras that are normally used to determine the craft’s orientation. 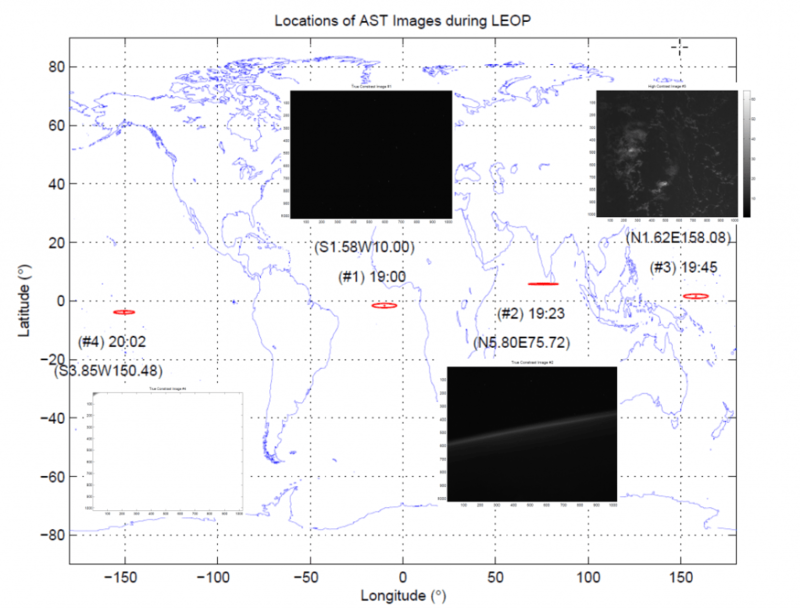 This activity has its roots in a study funded by ESA’s General Studies Programme to adapt the on-board software of the star trackers for NEO observations. Applying the required patch and performing the observations with LISA Pathfinder was funded by the NEO segment of the Agency’s Space Situational Awareness (SSA) programme. A software patch was uploaded and an initial test campaign conducted using LISA Pathfinder’s Autonomous Star Tracker (AST) on 26 January. The patch was successfully uploaded to the redundant star tracker unit (AST2) in the morning, followed by a sequence of commands enabling the capture of long-exposure images. The patch itself makes it possible to divide a long-exposure period (the default is 10 minutes) into a number of sub-frames (default is 10) in order to limit CCD saturation and allow the removal of transient radiation events on board. Note that the complete star tracker field-of-view is not exposed for 10 minutes all in one go due to on-board memory limitations. A complete image is constructed from three exposures of 10 minutes each of the top third, middle third and bottom third of the field of view. Each exposure is captured, processed and dumped in 20 minutes, thus a complete image capture takes about one hour. Since January and continuing until the end of the mission on 18 July, the star tracker has been capturing one of these images every hour, i.e. 24 images per day. The images are downloaded and later processed to determine if an NEO has been spotted. In an email last week, Detlef Koschny, Head of the NEO segment in the SSA Programme, confirmed that several asteroids had indeed been found in the images. “This paves the way for space-based NEO observations,” he added. 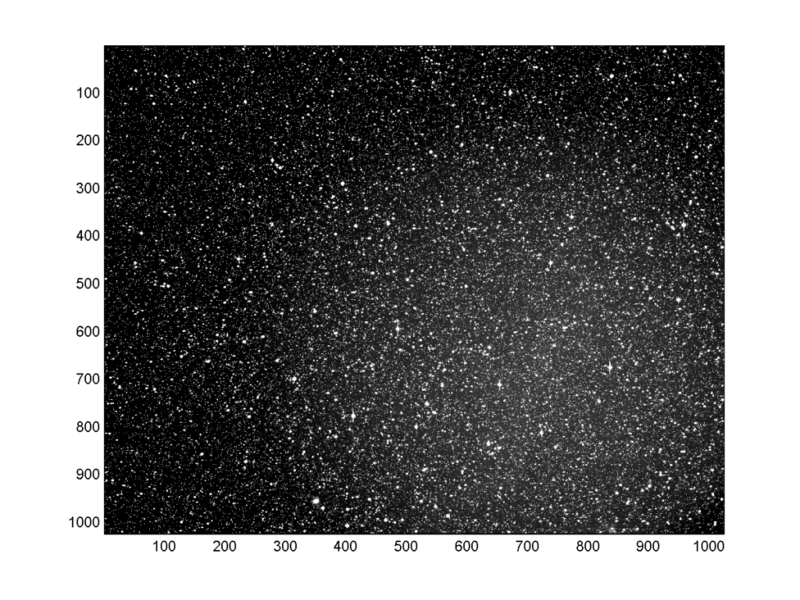 LISA Pathfinder star tracker image map – images taken just after lifoff. Credit: ESA CC BY-SA 3.0 IGO.